Leonardo DiCaprio wants to make a difference in the world. And he has. Although most of us think of him as a gifted actor, what I really learned is how much he has committed himself to being an environmentalist and has used his fame to effect change. The Leonardo DiCaprio Foundation supports efforts to secure a sustainable future for our planet and all of its inhabitants. That’s what he has done with his talent. As far as acting is concerned, that’s where we’ll begin. "The best thing about acting," Leonardo DiCaprio explains, "is that I get to lose myself in another character and actually get paid for it. It’s a great outlet. As for myself, I’m not sure who I am. It seems that I change every day. You can either be a vain movie star, or you can try to shed some light on different aspects of the human condition." Personally, I tend to look at the life of movie stars and imagine all that glitters. It turns out; there are a lot of challenges. According to Leonardo, "Nothing is as dangerous and as feared as loneliness. You shoot films in the most remote areas of the world; you’re separated from your family and your friends. And at some point you’re in your hotel room looking at yourself in the mirror and you realize how lonely you are and how far you are from leading a normal life. That is quite a punch in the gut." But the bottom line is what counts and DiCaprio has used the challenges in the industry to create a fulfilling and meaningful life. Few actors in the world have had a career quite as diverse as Leonardo DiCaprio. He had a relatively humble beginning as a supporting cast member of the sitcom Growing Pains and low budget horror movies, such as Critters 3 and took up a diverse range of roles in the early 1990s, including a mentally challenged youth in What’s Eating Gilbert Grape, a young gunslinger in The Quick and the Dead and a drug addict in one of his most challenging roles to date, Jim Carroll in The Basketball Diaries. 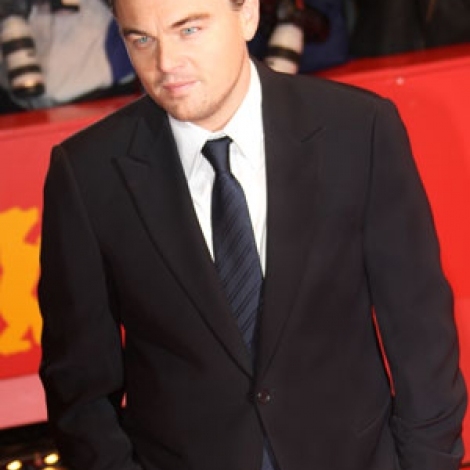 While these diverse roles helped establish Leonardo’s reputation as an actor, it wasn’t until his role as Romeo in Baz Luhrmann’s Romeo & Juliet that Leonardo became a household name, a true movie star. The following year DiCaprio starred in another movie about true lovers, Titanic, which went on to beat all box office records. "It’s a really obvious thing to say," DiCaprio notes, "but the more people know too much about who you really are, and it’s a fundamental thing, the more the mystery is taken away from the artist, and the harder it is for people to believe that person in a particular role. You learn after you’ve been in the business for a while that it’s not getting your face recognized that’s the payoff, it’s having your film remembered." 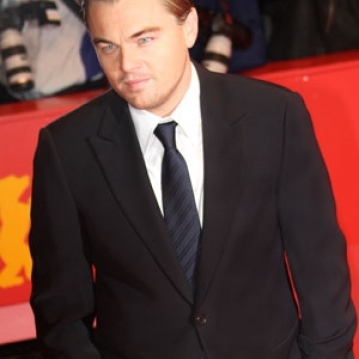 In 2002, after some downtime, Leonardo DiCaprio burst back into screens throughout the world with leading roles in Catch Me if You Can and Gangs of New York, his first of numerous collaborations with director Martin Scorsese. What truly impresses me is how DiCaprio has used his notoriety to become a leader in environmental conservation and education. As a board member with World Wildlife Fund (WWF), he has traveled to such places as Bhutan, Nepal, and Russia. "I like to help the whales, the otters, and the dolphins," he proclaims proudly. "When I’m acting and I take a break, the first thing on my list is spending time by the sea. A consensus has emerged in our scientific community," he elaborates, "That global warming is no longer merely a theory but a reality, a crisis with truly global implications for planet Earth and all of us who share it." His commitments to these issues have led to his involvement in The 11th Hour, a documentary movie about the state of the natural environment. Spring is here, and we all love to feel the blossoming of possibility when the cool air turns warm and the ground swells with new life Take some time this month to be your own star and impact our world by considering how you too can….go ahead… and make a Difference! Look for Red Riding Hood in theaters on March 11, 2011.Produced by Leonardo DiCaprio, Michael Ireland, Jennifer Davisson Killoran, Alex Mace and Julie Yorn for Warner Brothers, this Twilight -esque version of the Brothers Grimm fairy tale is sure to thrill you.